This tutorial is a bit overdue since it's the crown I made for my son's second birthday; which was over a month ago... but so much has happened since then that I'm sure you'll forgive me. Like any mother out there my goal is to do everything I possibly can for my children; this of course includes birthdays. I'm not one for huge parties but I do love to decorate and plan celebrations. I don't usually do anything fancy, but I do tend to get creative, so I decided to start documenting some of these projects hoping to inspire others to use every excuse possible to have some fun with colors and textures! Have you ever made a birthday crown? What kind of materials did you use? On my son's first birthday I used felt to make his crown. It was really pretty but didn't hold too well. This time I decided to try something a little sturdier. I had wire lying around which I was planning to use to make a wire wrapped stone pendant (still haven't gotten around to it, ah! 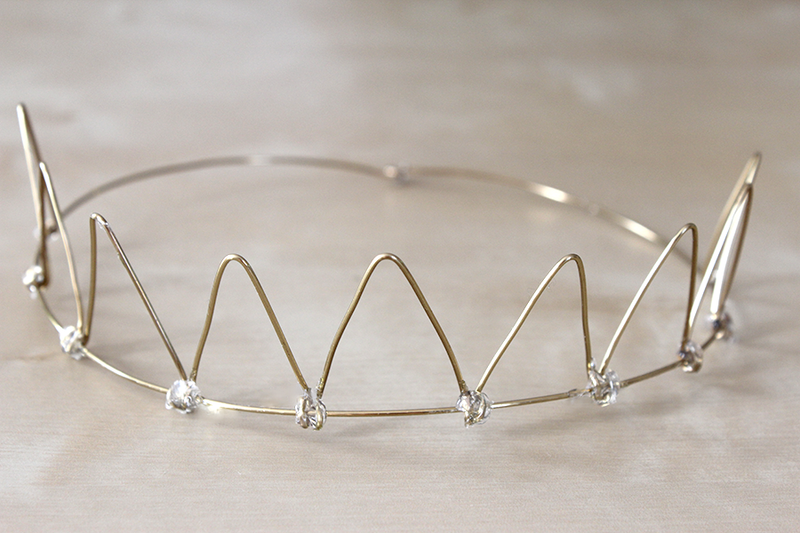 ), so I decided to use some and try and make a wire crown. This project was inspired by the wire art of Five From The Ground. 1. Measure the head circumference of the person who will be wearing the crown and cut a piece of wire that's a bit longer. Form a circle as shown in the picture below then wrap the ends with the round pliers to attach it. 2. 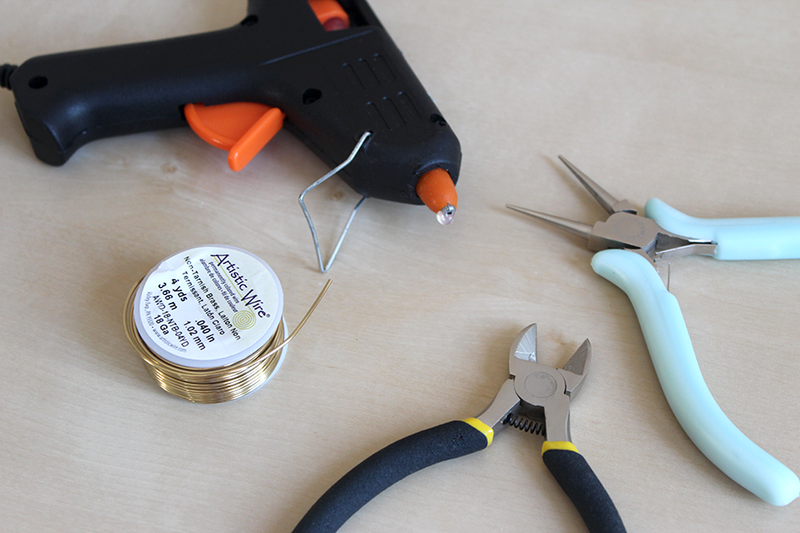 Cut 9 small strands of wire (approximately 3 inches long); you can cut more if you want more points to your crown. Bend them into triangles using your round pliers. Bend both ends of each triangle to attach to the crown. 3. Secure the wire triangles onto the circle you created earlier by pressing on the curled ends then further secure using glue. This is by far the favorite crown I've made so far. It's totally cute and my son loved it. It did look a bit uncomfortable since the building medium is hard, but this can easily be fixed by using a softer (thinner) wire. Enjoy!